Will High-Spreadability Fluid Primer work with my skin type? 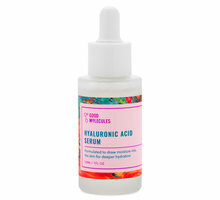 Because of its lightweight, serum-like texture, this product works well with many skin types. It leaves a naturally dewy finish, so those with oily skin may prefer High-Adherence Silicone Primer. I’m pregnant or breastfeeding. Is High-Spreadability Fluid Primer safe for me? An excellent primer, particularly for those that are older. Gives a more 'dewy' finish but really helps stop making shifting into lines. Its basic but advanced. And the price...! Ya gotta love Wayne Goss for this one! I am a licensed esthetician and certified laser technician as well as a former make up artist. I can safely say I have tried almost every primer out there. I am 53 years old. This primer feels incredibly soft and smooth due to its silicone base. It feels velvety to the touch. And gives the skin a luminous dewy finish. 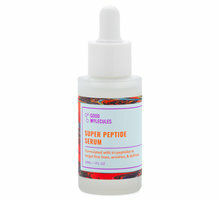 Excellent for drier and more mature skin types. 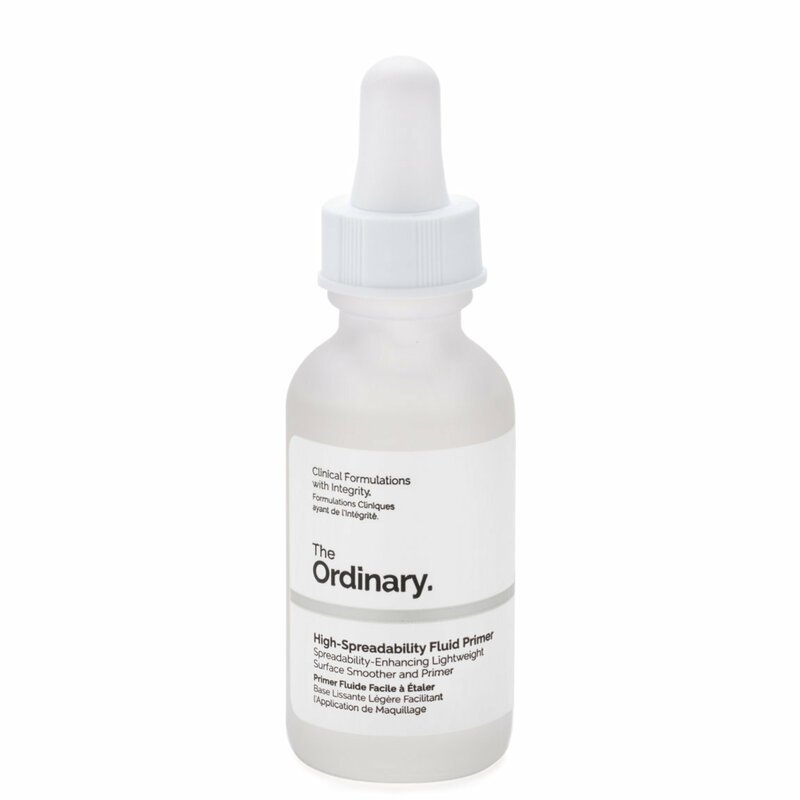 For this price tag and the fact that The Ordinary is vegan and cruelty free is definitely the best bang for your buck! I have tried numerous primers and after listening to Wayne Goss talk about The Ordinary's High Spreadability Fluid Primer, he was right!!! I love this. It leaves a nice smooth layer to create a beautiful surface to apply makeup. One con(but didn't knock down a star for) was for the smell. The smell is terrible when first applying, but it fades quickly. I'm willing to smell this for a few seconds for what this primer does for my face/skin! Thank you Wayne G for recommending! Now i can order from Beautylish because they have the speediest shipping! I have oily skin and ive tried every primer there is and nothing has worked. mattifying ones make my skin feel dry and silicone ones make me an oil slick in less than an hour. I bought this on a whim bc of the price and I'm glad I did! This primer feels so smooth and soft and absorbs fast. 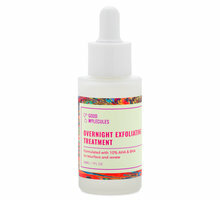 it minimized my pores and fine lines. after +7 hrs, my makeup still looks as if i just applied it! i usually get shiny on my forehead, chin, and nose area and I dont need to blot or powder my face at all! (For the record, i set my face with RCMA powder and Urban Decay All-Nighter setting spray) I will definitely be repurchasing this primer! I usually stay far far away from silicone primers but I snatched this up when it first came out because I know & love the Ordinary line. And have to say, it is my favorite primer now. This gives that nice velvety smooth base that other silicone primers give, but it dries down or sinks in so it doesn't make my makeup slip & slide like other silicone products do. I don't know what kind of voodoo magic is in there but this is unlike any silicone primer you've ever used. It's so much better. I have a lot of primers because I'm obsessed with them and I have to say, this is one of the best silicone-based primers I've ever used. For best results, apply it on a dry face and use it with a silicone-based foundation rather than a water based or oil-based foundation. I'm using this now with my ettusais BB cream and it's amazing. It prevents the formula from sinking into pores, it makes your skin look so smooth and it really does help your product last. I use this with Niod's Photography fluid, 12% based on a Val Garland recommendation and it makes you look airbrushed. Worth a look if you're in the market for a silicone primer that's of a different texture than the traditional gels sold by other companies. Wish Beautylish would carry Niod too, their stuff is amazing. 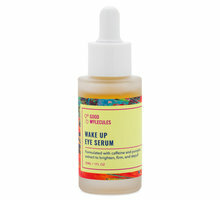 It sets-up quickly, doesn't pill even when sandwiched between a gazillion serums, lotions, sunscreen, and liquid foundation. I get a solid 9 hours of wear without my makeup sliding off. Excellent primer! I'm just so amazed with this brand. I accidentally added this product when I ordered and what a great accident. I am not a fan of primers simply because I don't see many results with the ones I've tries. Except for this one! Highly recommended! This primer is amazing! My makeup lasted through out my work day and the evening! My skin looked much better! I'm talking no filters for my selfies better! lol can't wait to try the whole line! I am not a big fan of how silicone primers make my skin feel but I love everything I've tried from The Ordinary and at this price I had to try this. It is DEFINITELY one of the most spreadable primer products I've ever used. Of course it made my face feel like all silicone primers do, but the finish was beautiful and my makeup definitely held up well. If you use more expensive silicone primers you should absolutely try this. 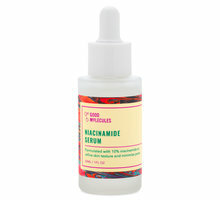 As with most Ordinary products this comes in a dropper bottle so you can get the perfect amount of product.